Earlier this month, at its E3 conference, Ubisoft announced its new mobile game, called South Park: Phone Destroyer. The game was soft-released in Sweden, Denmark, Norway and Finland at the time, and has now been made available in Canada, too. 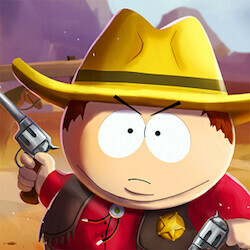 The card-based game features a massive single player story, written in collaboration with South Park Digital Studios. In a joint effort with RedLynx studio, a Ubisoft’s subsidiary, South Park’s team has helped develop a game that immerses you into the crazy world of Stan, Kenny and co., and offers both strategy and PvP aspects. Players are able to fight each other in real-time and customize their chosen characters. There are over 80 unique cards that you can collect and upgrade, as well as different classes of heroes you can choose from. What’s also quite cool, in our opinion, is that you don’t need to pay for anything, as you can ‘farm’ currency resources and unlock stuff for free. Unfortunately, we do not have a set date for a full-blown release of South Park: Phone Destroyer, but do know that it will come out later this year. For the time being, should you live in Canada or one of the aforementioned European countries, where the game is already available, we would love to hear about your experience with it in the comments below. played it. its pretty much clash royale on a different view.